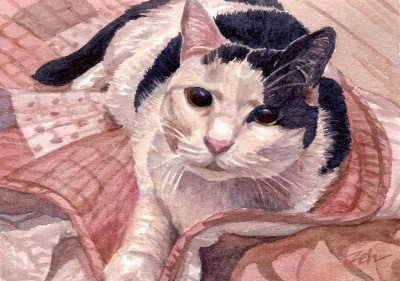 This painting is one I did as a sample for Cat Pet Portraits. Ravel is a sweetheart of a kitty. Just look at that face!